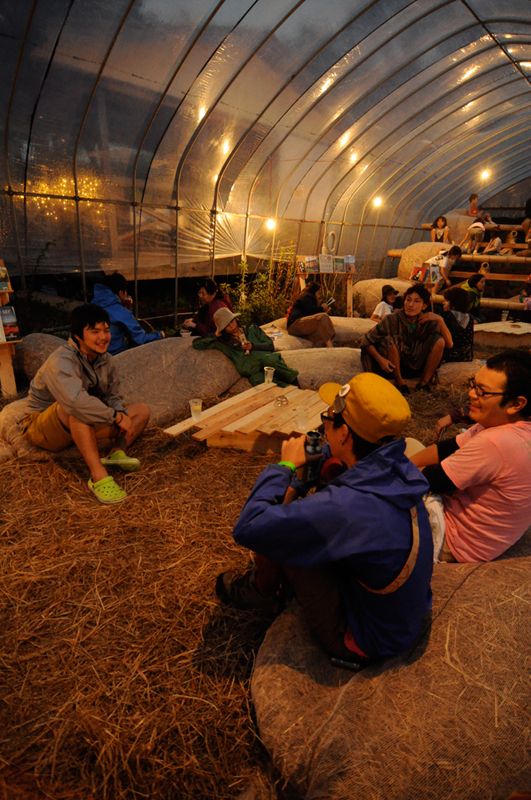 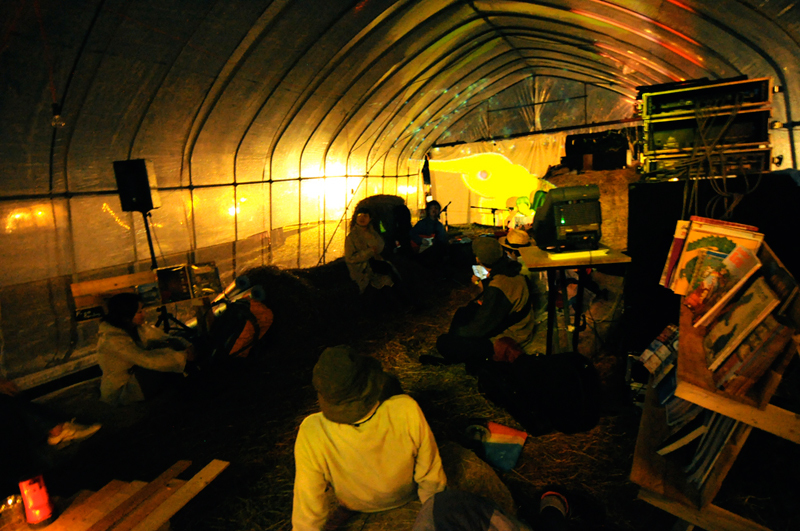 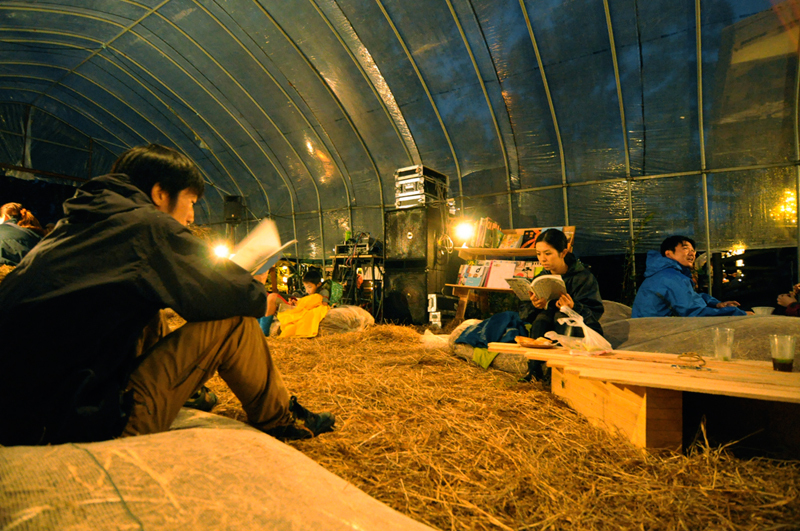 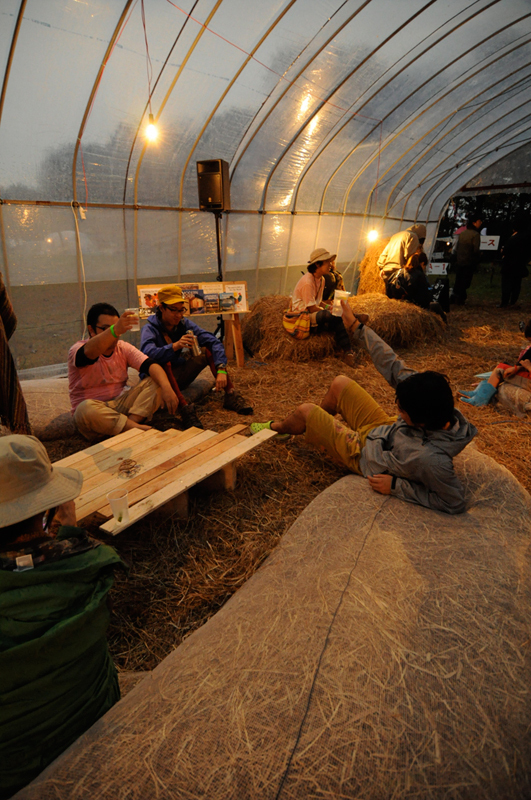 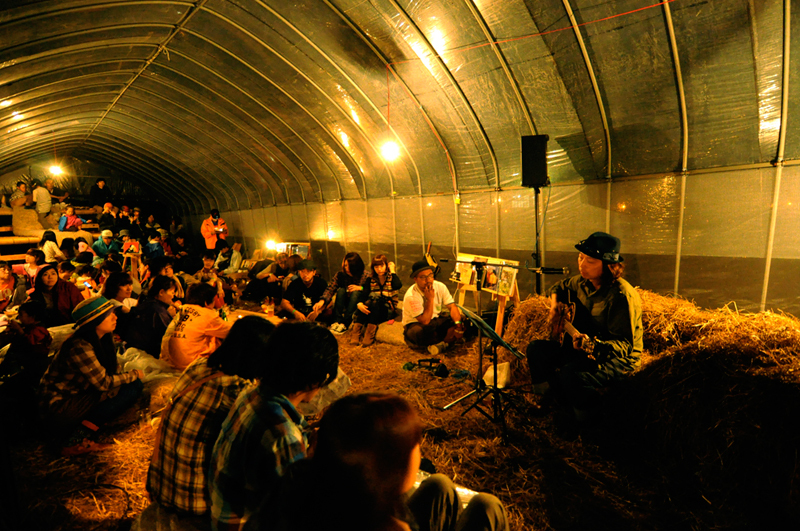 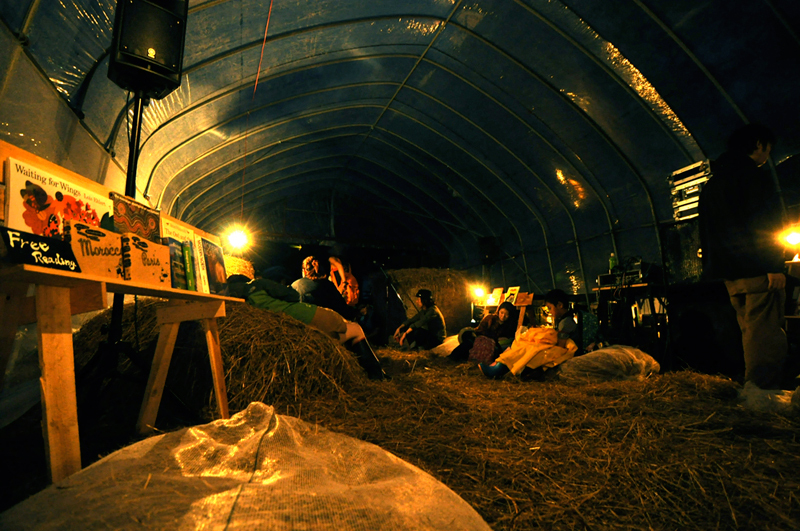 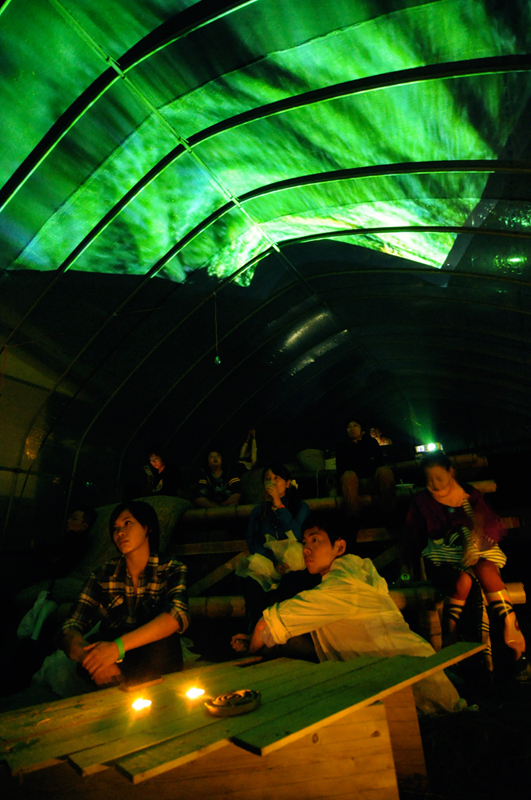 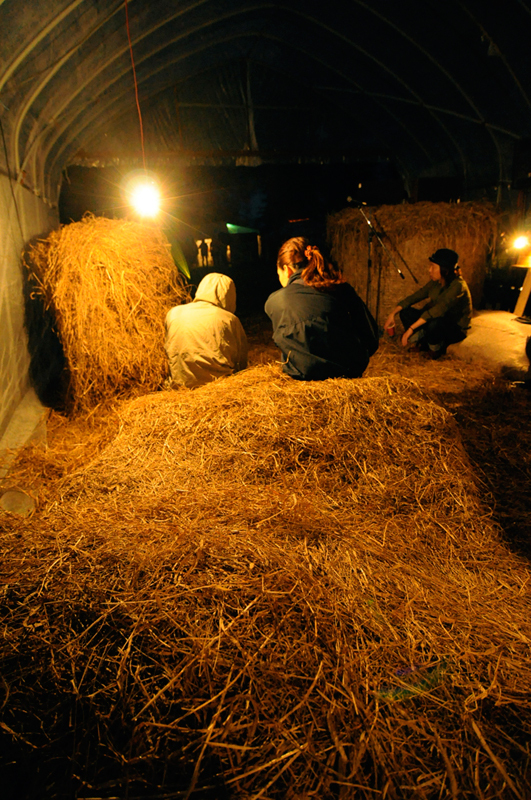 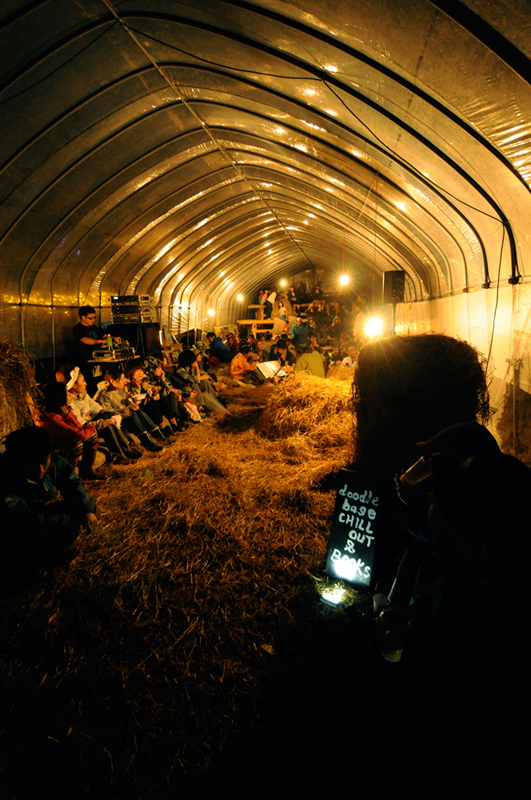 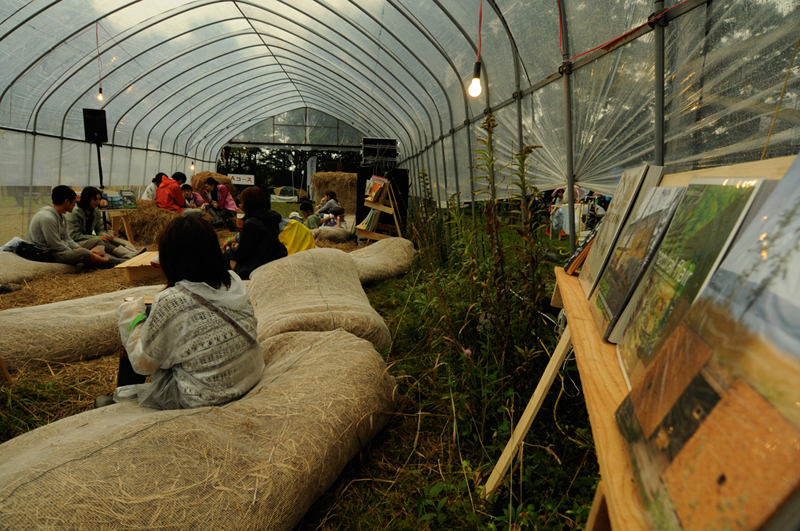 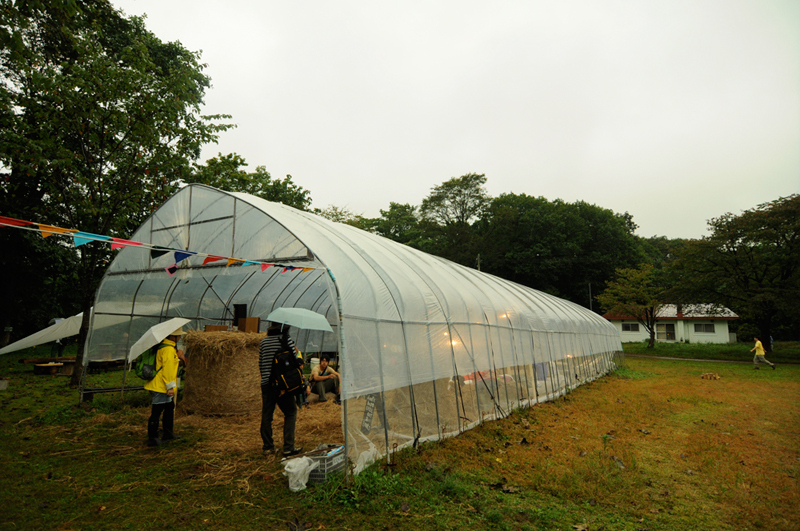 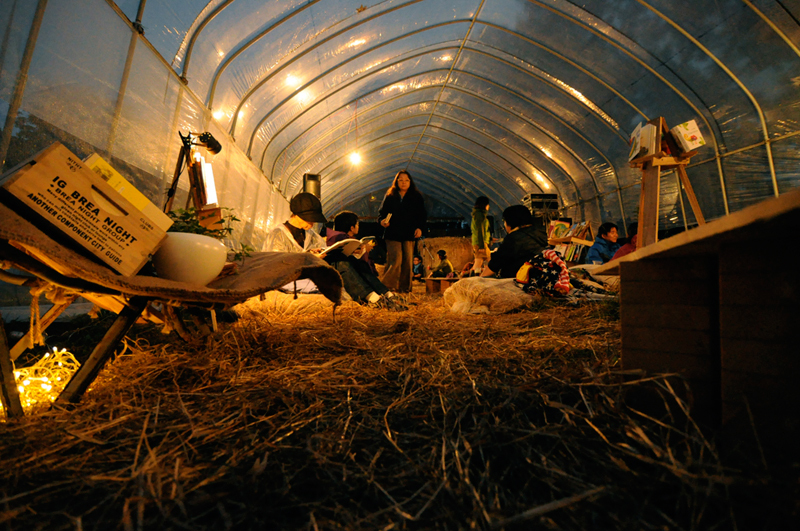 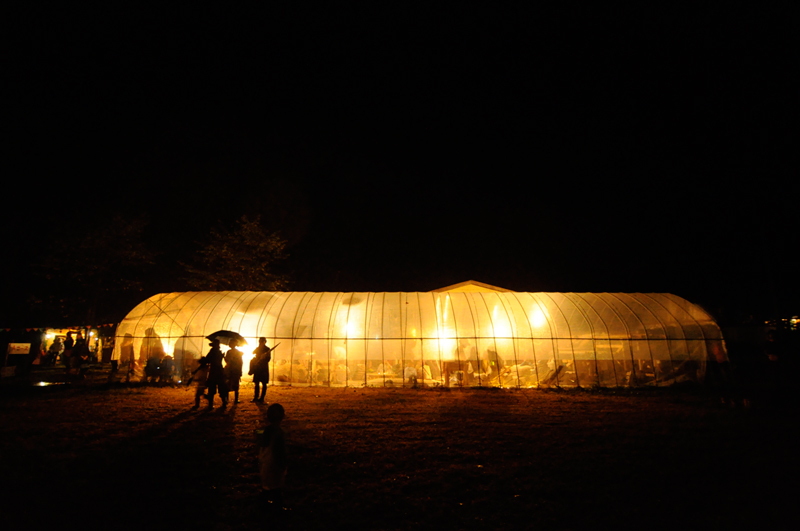 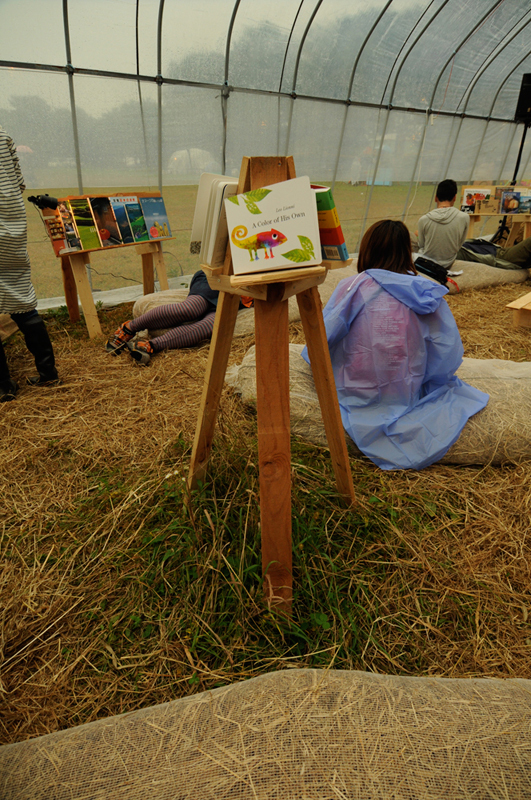 This is a temporary chillout space for part of Tobiu Art Festival 2011 and Tobiu Camp 2011 in deep forest of Shiraoi where country side of Hokkaido island. 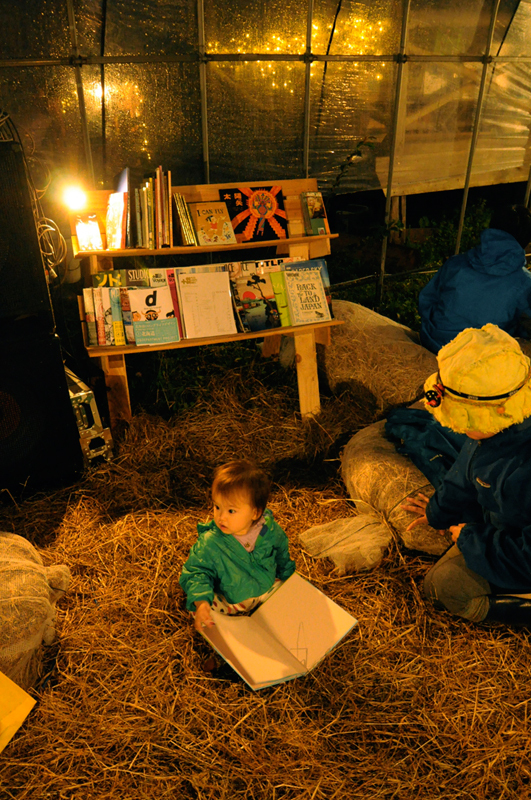 You can find a closed elementary school in the forest, that is the headquarters of this event. 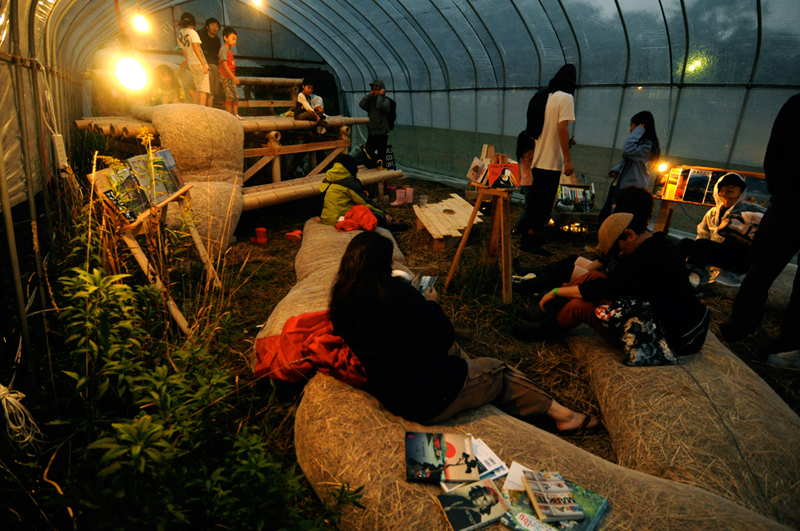 People who come to the event enjoy a number of art works at gallery spaces inside the school building and also at several points in the forest. 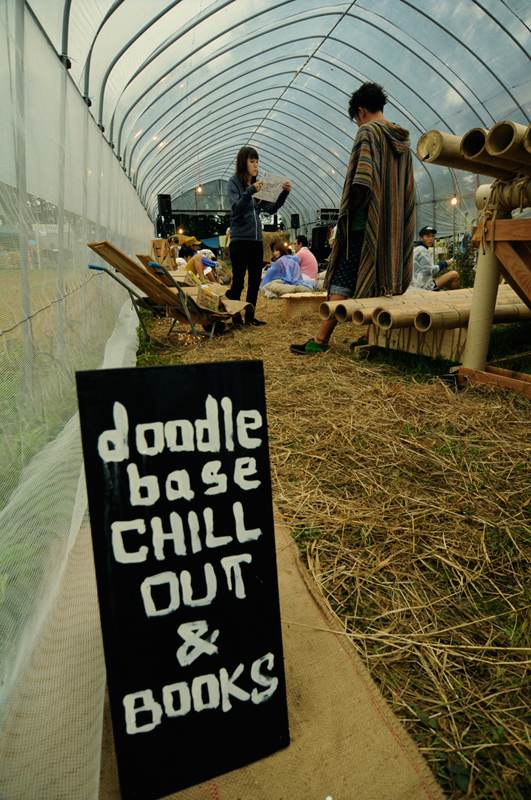 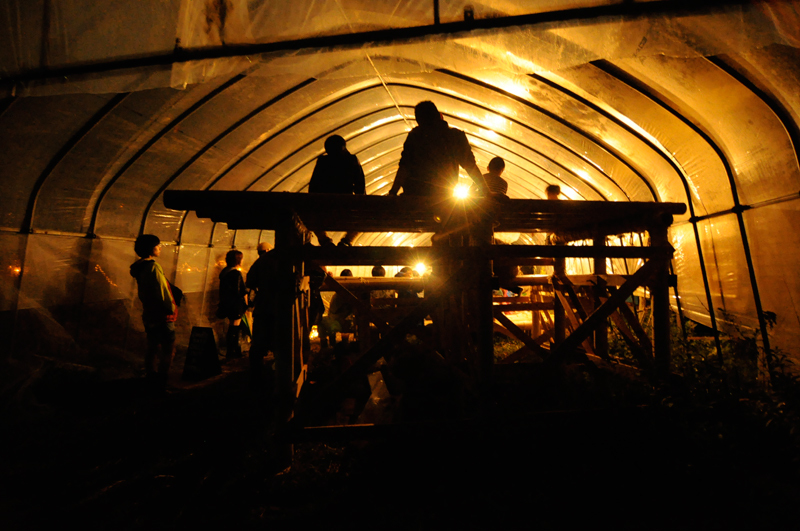 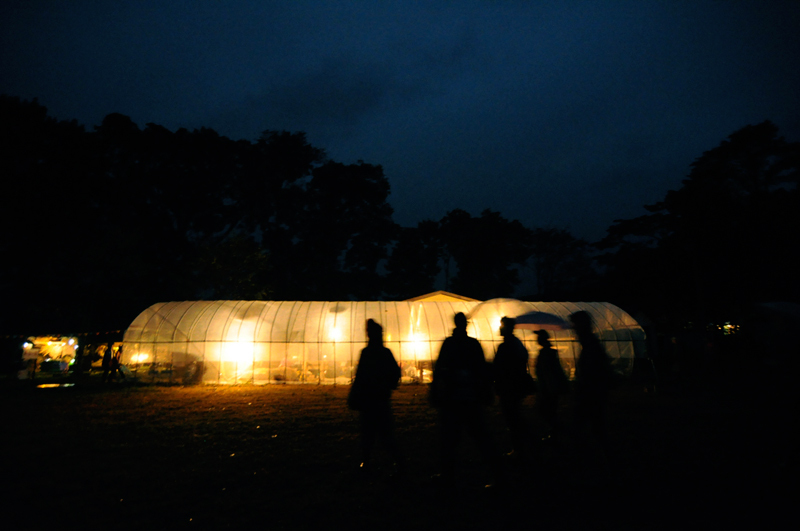 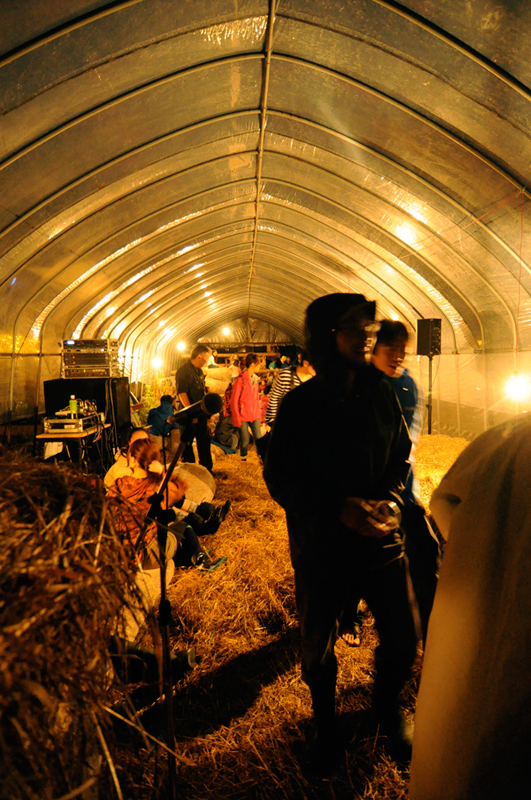 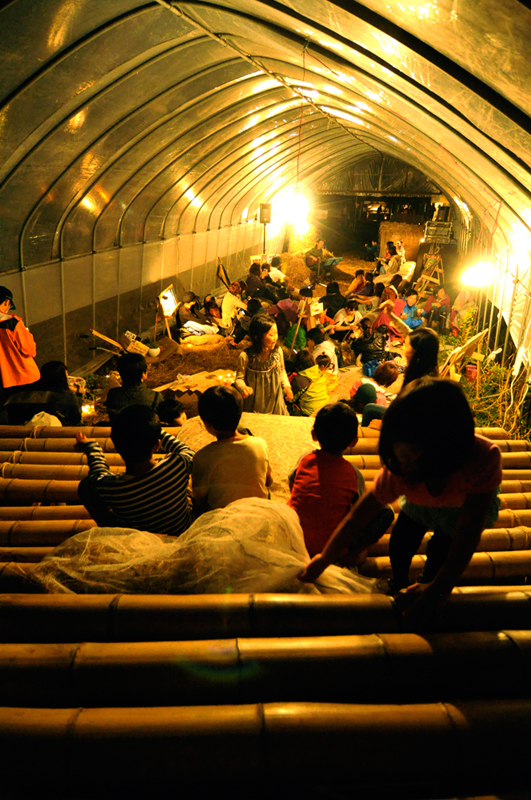 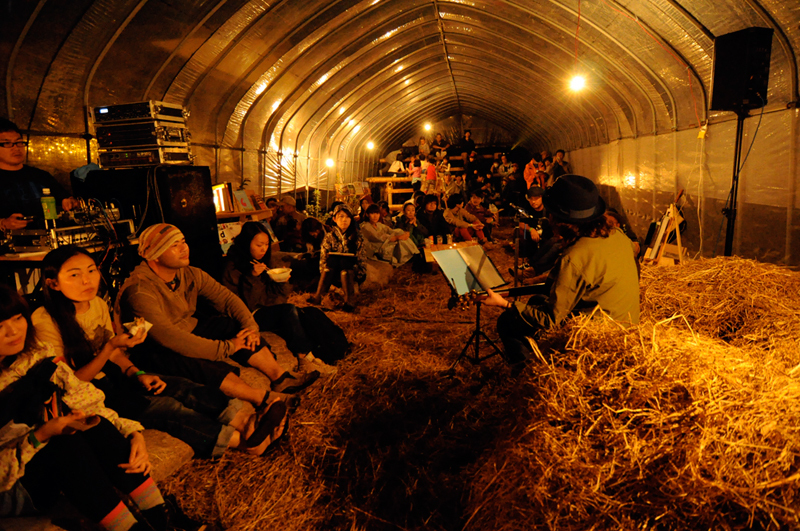 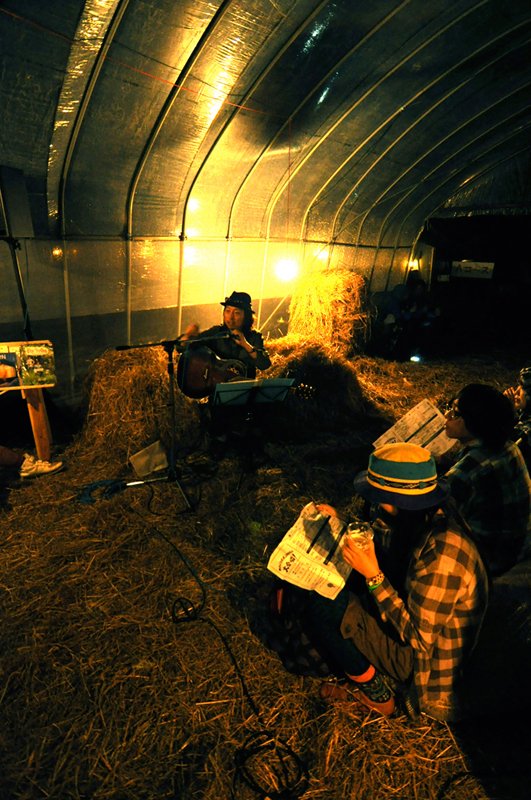 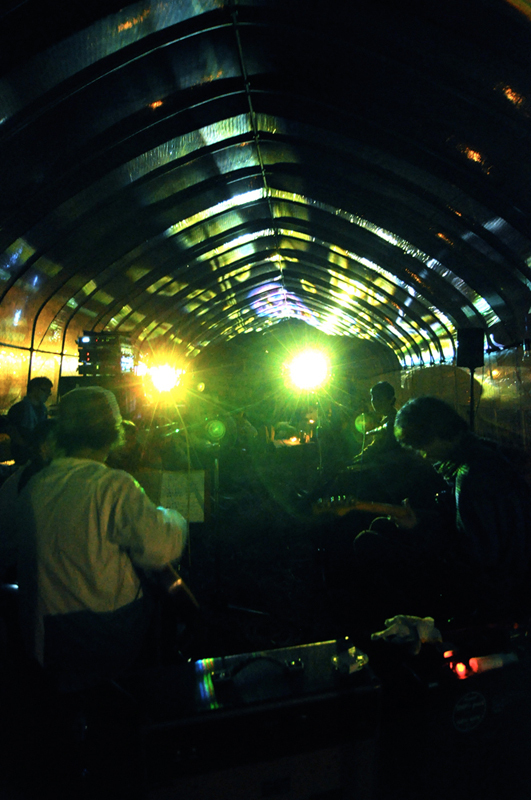 In the night, music lives begun on stages in the forest, inside building, and at Doodle Base. 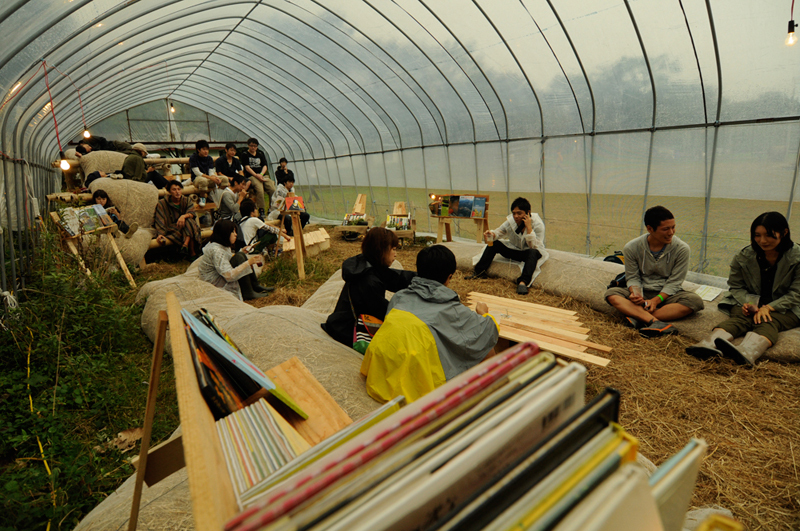 This project serves visitors a cozy space for rest, reeding books and chillout musics.